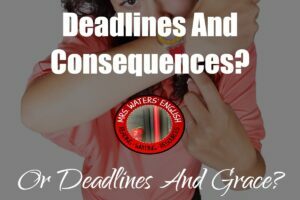 Deadlines And Consequences Or Deadlines And Grace? 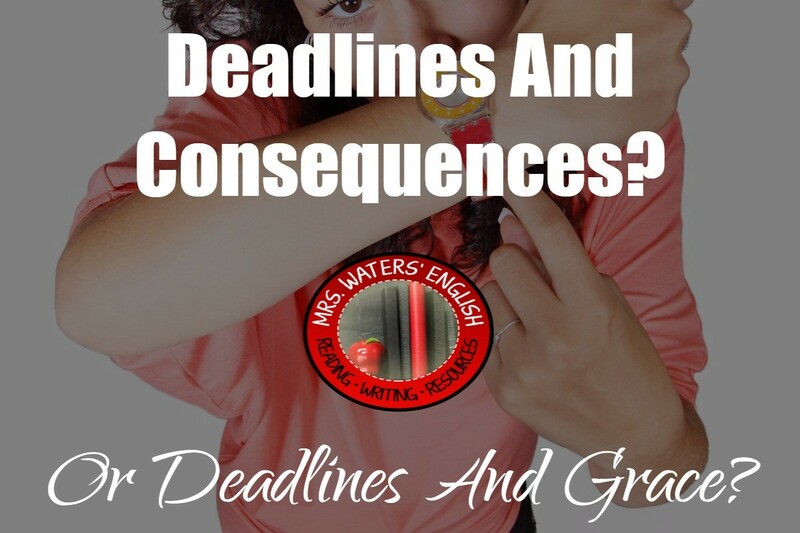 You are here: Home / Pedagogy / Deadlines And Consequences Or Deadlines And Grace? I hear teachers, legislators, and other people state that when they were in school, teachers assigned essays and insisted that they deadlines were met. If you missed the deadline, you received a zero, and that was that. I used to a be a newspaper reporter, and we had set-in-stone deadlines, too. Except when the local banker got ran over while driving his tractor on the highway one night. We busted the deadline for that. I’m pretty sure they busted the deadline that time the courthouse burned down back in the 1970s, too. Oh, and when the tornado blew away a local shopping mall — deadlines were probably broken. I wouldn’t know though because I had gone to The City to find out if I still had a family left. I was probably supposed to be working that night, but they told me to go find my family and let them know how I was doing. Later, I wrote a three-part series on my experiences finding my family, and a few more stories on how the tornados affected our area. Some of our students are living with tornadoes in their lives — sometimes metaphorically, sometimes not. I think as teachers, we need to ask ourselves what our purpose is: Do we want students to learn that the deadline is all that is important (which incidentally gives some students permission to quit, or not even start), or are we wanting students to gain the experience of completing the assignment we gave them? If we are giving students valuable learning experiences through authentic writing and reading assignments, then I think our purpose should be for each student to gain that experience, regardless of how long it takes. They can start working on their deadlines when it’s time to file their taxes. Or unless they file an extension and the government owes them a refund. Due Dates . . . So I know there are many people in education who feel that a due date is a due date and if things are not turned in on time, there should be a punishment. However, I don’t feel that way. If I gave you an assignment, I want you to complete it.